This sticker was spotted on Tenth Avenue between 25th and 26th Streets. 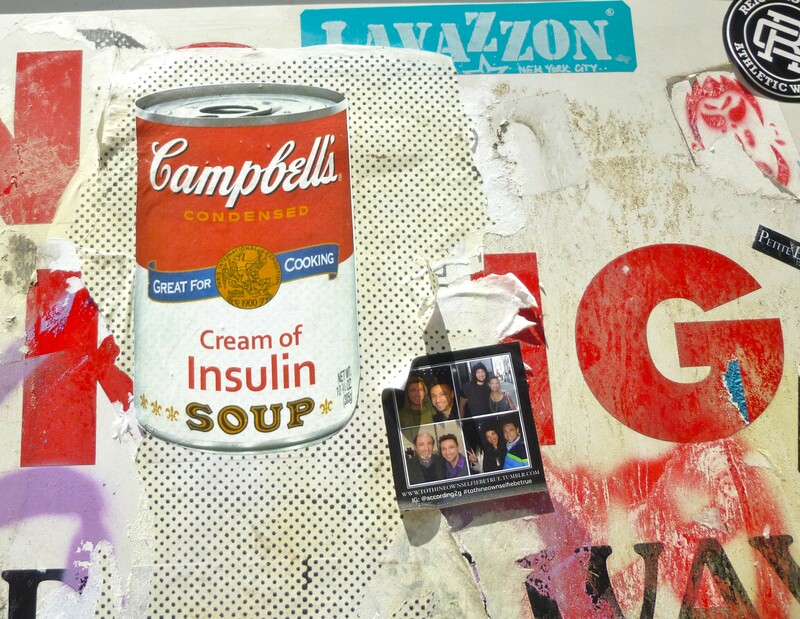 Update January 2019: It seems that this work can be attributed to the Street Artist Appleton, whose work is about creating Diabetes awareness. See another of his pieces at This Link! ← A Fun Visit to the City Reliquary Museum! I spy a http://www.tothineownselfiebetrue.tumblr.com sticker! Hooray!